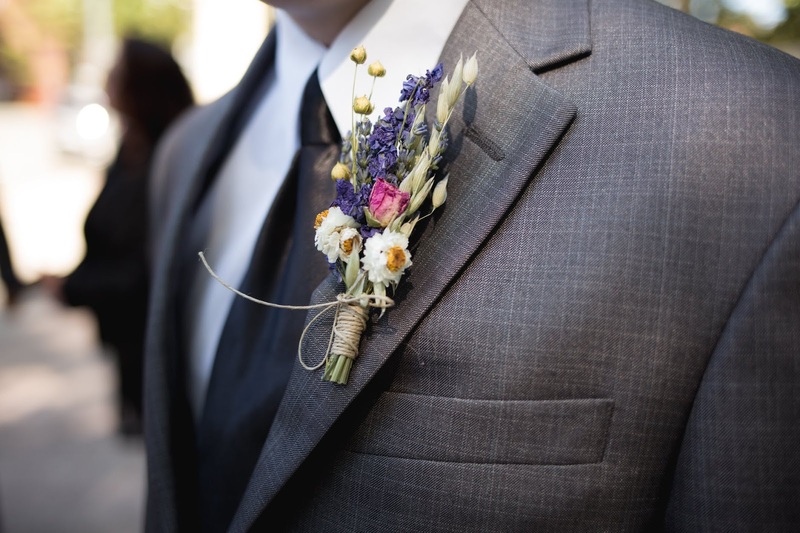 Making Your Groom Look Gorgeous: What Costs Need to be Considered? Your wedding is a massive deal, which is why even the most level headed bride-to-be can have their Bridezilla moments when planning the day! Chances are you want everything to be perfect, and there are so many different elements to work out in the early days, it can leave you wondering how it's ever all going to get done. You have to find the perfect wedding venue which suits your budget and theme, and that's in a location that all of your friends and family can easily get to. You need a good photographer to capture the day, gorgeous flowers, an impressive wedding cake and of course- your dress. Most of us have been dreaming about our big white wedding dress since we were kids, and a lot of your time, effort and budget will be focused on this. And with so many different components to plan for, it's important not to overlook a crucial part of the wedding- and that's your groom! While the list of things that he needs is likely to be much smaller than yours as the bride, there are of course a number of costs involved that you need to budget for. Here are some examples, which will help you to plan for your wedding finances, and free up the cash he needs for walking down the aisle on the big day. Of course, the groom is going to need a suit, and it's worth getting something special for such an important day. Companies like Anderson Christie Suit Tailors can offer perfectly tailored and custom pieces which would be ideal for investing in for your wedding day. With access to hundreds of fabrics and suits designed with your grooms body shape and measurements in mind, there's far more choice than you'd ever get from a store selling ready made suits. If your groom will be wearing a waistcoat too, again this can be custom made with materials and colours that are perfect for the rest of the look. Most grooms will need a bowtie or neck tie, some cufflinks and new underwear. If your guy wants to wear a hat or other accessories, be sure to add these to your list and look into the costs. They might want to buy a new fragrance for the day, and of course will need some smart new shoes too. There's plenty of advice online about how guys can choose the perfect pair of shoes for their wedding, don't rush this decision as it needs to be right. They need to be comfortable while still looking good, and something they're able to dance in! On your big day, it will be all eyes on the happy couple. So if your groom-to-be has two left feet, the first dance might feel a little daunting! If so, taking a couple of dance classes ahead of time might help him to settle his nerves. They needn't be expensive, but when a wedding overall costs so much, these are all things that you'll want to plan for so you can incorporate them into your budget. They might not have a direct impact on his appearance, but confidence is important. If he hits the dance floor knowing what he's doing, chances are it will show! Your groom's styling costs for looking good on the day are likely to be much less than yours. Chances are you'll have a makeup artist and a hairdresser on hand. You might have had your hair cut and coloured before time, your nails done, your brows- you might have even had Botox or lip fillers! However, there are still some grooming costs involved for guys on their wedding day so dont overlook this. They'll more than likely want a hair cut, and perhaps even a shave or beard trim by the barber. They might want to start using some skincare products ahead of time, and have a simple manicure- especially if they work a manual job that stains their hands! Even if they're usually pretty low maintenance, it's an important occasion so will need some funds to ensure they look and feel their best. Brides-to-be: had you considered the costs involved with your groom's appearance on the big day?